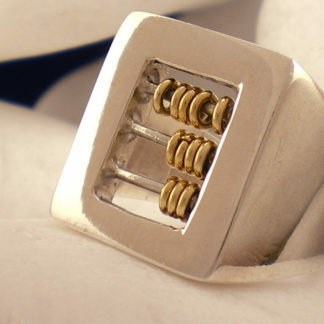 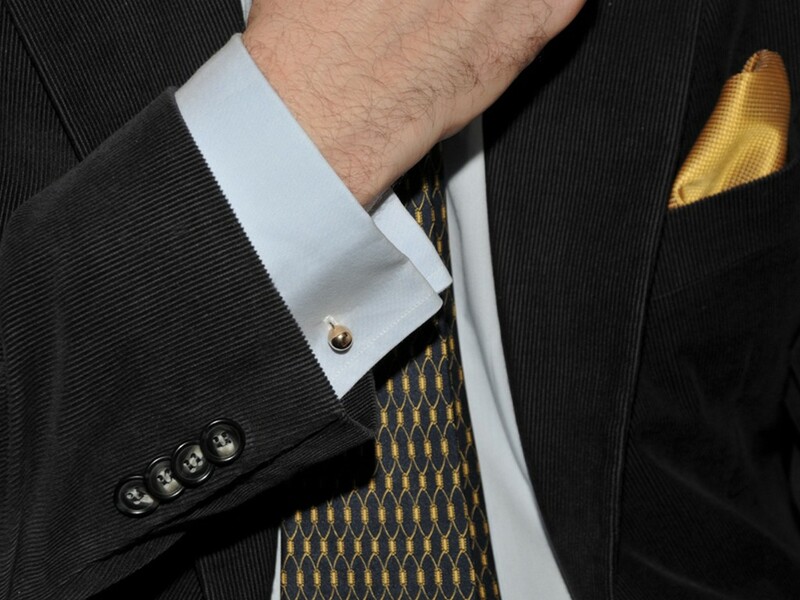 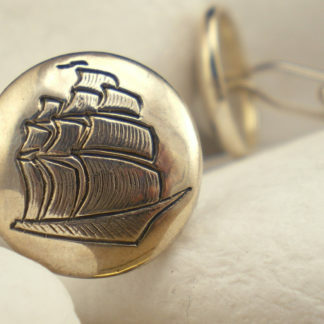 A wonderful pair of solid 14K gold cufflinks from the A. Leondarakis jeweler’s collection. 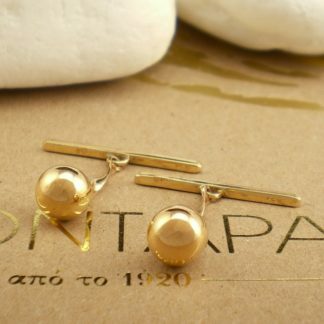 Elegant and discreet cufflinks from the A. Leondarakis collection that will accentuate any shirt with their originality. 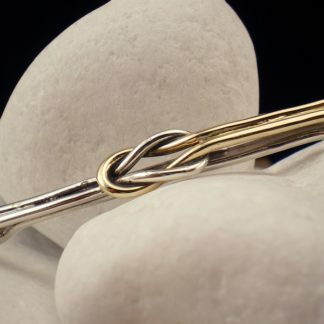 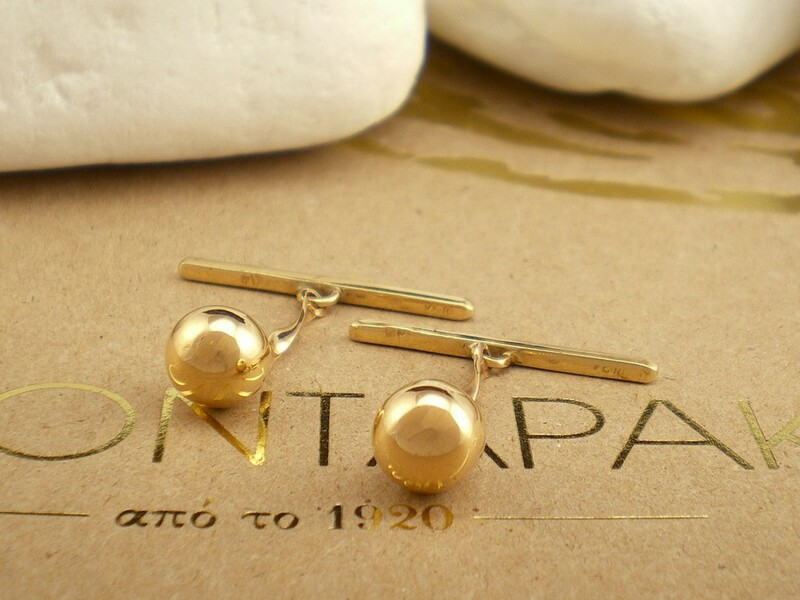 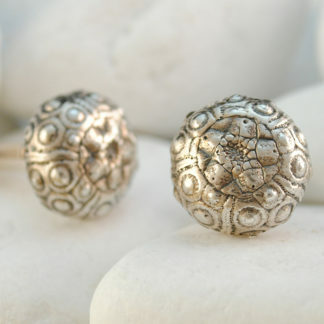 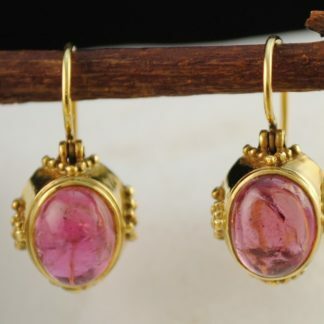 These beautiful cufflinks are handmade from solid 14K gold and feature a charming gold sphere. The cufflinks carry the metal fineness stamp accompanied by the Workshop code ΩΙ34 and the ELKA quality hallmark (Hellenic Silver and Goldsmith Center). 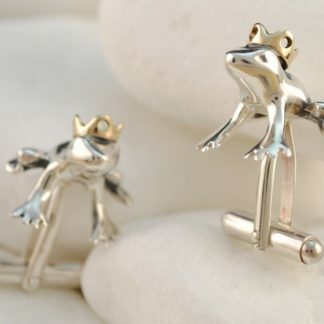 The cufflinks will be sent to you in a presentation box for you to keep or present as a gift.